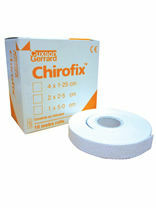 Mefix, Hypafix, Hapla-Band, Chirofix, Micropore and Leukoplast Zinc Oxide tapes. 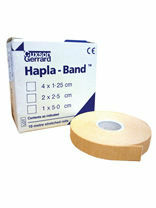 A high tensile strength zinc oxide tape that is both waterproof and dirt repellent. 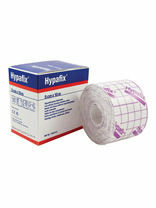 Transversely stretching hypoallergenic tapes ideal for retention of padding and fixing dressings. 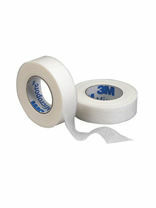 5cm x 5m Roll. 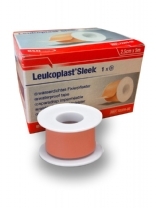 Comes in a 5 metre long roll which is roughly 2 inches wide. 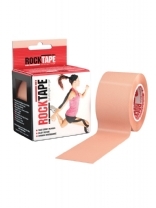 Premium muscle and joint support tape. 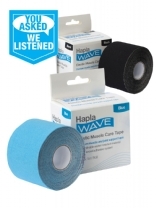 The principal of Hapla Wave is to offer support and stability to muscles and joints without limiting their range of motion. 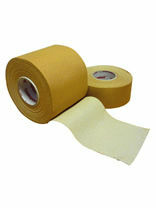 The tape is applied in strips to effectively cover problem areas. Available in colours Blue and Black.